Rooted in our history of providing daily free meals, GLIDE has evolved over the past half century to meet the changing needs of those we serve through the creation of innovative and sustainable programs—each dedicated to meeting every individual with dignity, respect and love. 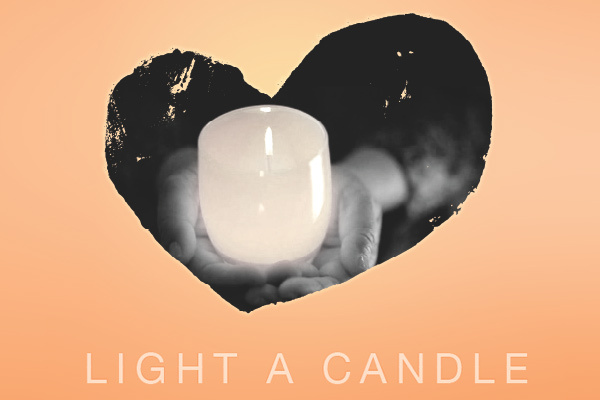 Light A Candle is GLIDE’s signature holiday campaign. Last year, we asked people to fill out a card letting us know that they were “lighting a candle with GLIDE”. The response was overwhelming, so this year we are building on that positive energy. If you have the chance to visit GLIDE this holiday season, please come into the Creative Space, the room adjacent to the lobby where we are showing an exhibit featuring stories from our community of clients, staff and generous partners, about how GLIDE has changed their lives. We invite you to please share your own message of hope, a story or a wish. By sharing your light, you are sharing our message of hope and possibility. You are standing with the GLIDE community and telling the world that every human being deserves care, love, hope and the promise of justice. With their beautiful candleholders and commitment to community support, our good friends at glassybaby spend every day lighting up the world. 10% from the sale of each ‘cozy‘ will be donated to glassybaby white light fund in further support of GLIDE.